For the first time ever, the family spent christmas lunch at home and just the 8 of us. Interestingly the kids wanted to get to their relatives as quick as possible to share the day. We went across to my mum’s for a very low key BBQ which was such a lovely way to finish the day. So, it is a coupe of days after christmas and time to get back to some stampin! I received a stash of stamps right before christmas and I am going to try to whip up some cards from the sets. 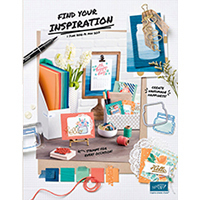 I am also excited about the up and coming Occasions catalogue (6 January to 2 June) and Sale-a-Bration free products that run from 6 January to 31 March. For every $90 you spend (before shipping and handling) you earn one free product from the Sale-a-Brations catalogue. You will be able to check these out on my online store. Just click on the icon in the panel on the left of this page. This entry was posted in Mum's Posts and tagged Stampin' Up!. Bookmark the permalink.